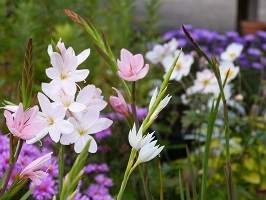 Herbaceous perennials - particularly the cottage garden favourites - are what you will find most of at Katie's Garden, the majority grown on our nursery. 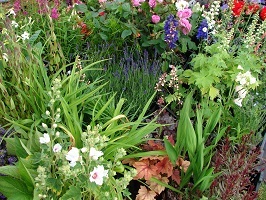 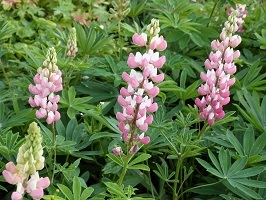 Perennials are plants that come back year after year and are the floral mainstays of most gardens. 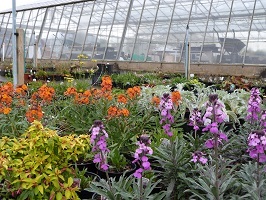 We have young plants in 1 litre pots for those on a budget, as well as a huge selection of more established plants in 2 or 3 litre pots: those in green pots are priced £4.50 each, black pots are £5.50 (unless otherwise priced); plum coloured pots £5.99; taupe coloured pots £6.99. 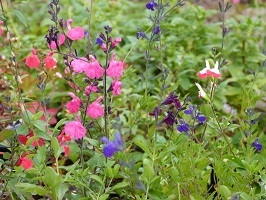 Among our extensive range are hardy Geraniums, hardy Fuchsias, Lupins, Penstemon, a wide choice of Salvia (sage family - including 'Hot Lips'), Verbenas (including the ever-popular ‘bonariensis’), Delphiniums, Hemerocallis (day lily) and Erysimum (shrubby wallflower). 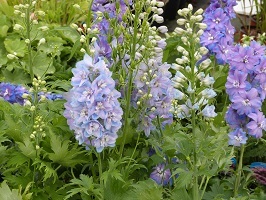 We grow too many perennials to keep comprehensive up-to-date lists, but upload snapshots of different ranges when we can find the time! 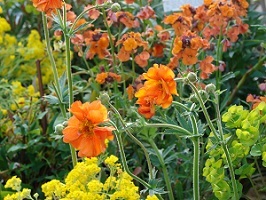 Most of our perennials can be grown on sandy, light or poor soils and a good number are drought tolerant; among those that should do particularly well are Achillea (yarrow), Agastache, Aquilegia (columbine/Granny’s bonnet), Artemesia, Centranthus (valerian), Dianthus (pinks), Eryngium (sea holly), Euphorbia, Gallardia, Gypsophilia, Lychnis, Oenothera (evening primrose), Salvia, Sedum and Verbascum. 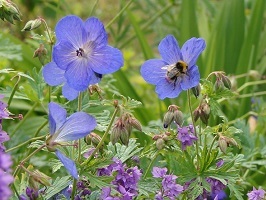 Plants for shadier spots include Ajuga (bugle), Alchemilla (lady's mantle), Astilbe, Bergenia, Brunnera, Dicentra (bleeding heart), Digitalis (foxglove), Hosta, Heuchera, Lamium, Polemonium (Jacob’s ladder), Pulmonaria, Tricyrtis (Toad Lily) and Vinca (periwinkle). 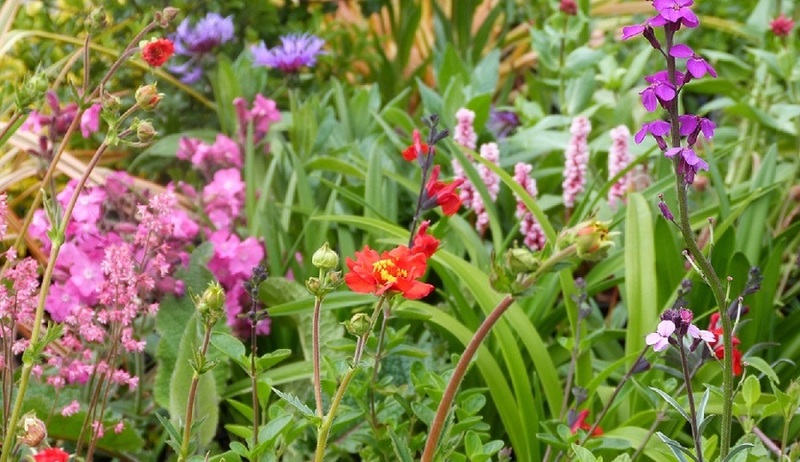 ... Sanguisorba, Santolina, Scabiosa, Schizostylus (Kaffir lily), Scutellaria, Sisyrinchium, Stachys, Symphyandra, Tanacetum (tansy), Tellima, Teucrium, Thalictrum, Tradescantia, Trifolium (clover), Veronica, Veronicastrum, Waldsteinia and more!